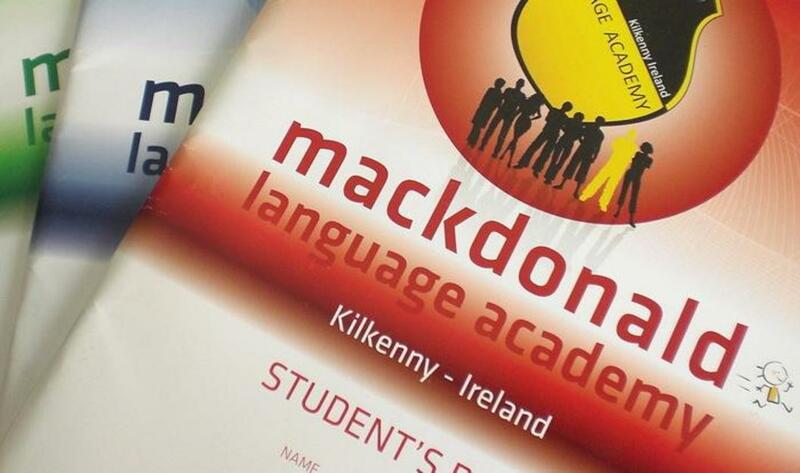 mackdonald language academy is an ACELS/QQI and MEI accredited and independent English language school in Kilkenny. The school is specialised in offering 'all inclusive' holiday courses for kids and teenagers from all over the world. Students do not only improve their English, they also get a very good impression of the cultural and natural beauty of Ireland. All Junior courses are 'all inclusive': English lessons in small classes (15 hrs/week), full board accommodation with a nice and welcoming host family (single room), transfers to/from school every day, airport transfers (Dublin DUB) and assisted check-in upon departure, varied afternoon programme with many cultural, social and sportive activities, weekly full-day excursions to interesting places across Ireland. With mackdonald language academy, a successful and a great time in Ireland is guaranteed. The teachers were very nice. They lerned us some new stuff and practise this very good.We made a lot of activities and our hostfamily was very nice. The weather was really beautiful. The school was good, i liked it because it wasn't hard it was just for speaking practise and I liked the teachers. I am really sad that I have to go so early. It was the first time we were sending our son to a summer camp in Ireland and everyting was perfect. I googled trying to find a school in Ireland as we didnt want to send our son within a group of Spanish students all together, and I can tell you how difficult is to select the right one just by surfing the internet. But Isha was of great help providing clear, real and simple information solving all the questions we had. We found everything to be well organized and the host family was the best of all, making our son to feel like one more of the family. Furthermore, Kilkenny is a quiet place far enought from a populated city as Dublin and rich in history, a safe place to stay. We are coming back again this year, now also with my daughter. i think that going to ireland to learn english has improve mi english level.I'm so grateful and looking forward to see you again. The experience in Ireland was wonderful andare I learned a lot of things! Thank you for the great time my son had. He enjoyed it so much that he wants to join you again. Also thank you to the guest-parents. They made his stay enjoyable. I really enjoyed my holiday in Irland because I improved my english (that was my first target) and I also had a really nice time with my host-family and my friends. Great family accomodation. Very nice. Problems at Dublin airport immigration office due to 15-year-old minor travelling abroad, incoming, to Ireland without adult picking him up gir a couple of hours.